Some great Car Loan advice from ASIC. With rates kept on hold for the 14th consecutive month, where to from here…? It would appear from the RBA’s monthly statement, that they will continue to take a ‘wait and see’ approach and any rate change this year would be unlikely. “In the Board’s judgement, monetary policy is appropriately configured to foster sustainable growth in demand and inflation outcomes consistent with the target. On present indications, the most prudent course is likely to be a period of stability in interest rates”, said Governor Glenn Stevens. The RBA also stated that it expects moderate economic growth in Australia in the short term. “Overall, the Bank still expects growth to be a little below trend for the next several quarters”, said Stevens. This was likely to be a key factor in the RBA’s decision to leave rates on hold again this month. Whilst a falling Australian dollar and increasing property prices are factors that may see the RBA increase rates next year, reduced spending in the resources sector, unemployment and China’s weakening property market all indicate that the RBA is very unlikely to increase rates for the rest of 2014. Is there a housing bubble that’s about to burst in Australia? 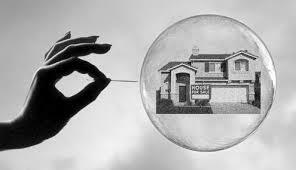 IT’S the question all Aussie homeowners are asking: is there a housing bubble? It’s no secret that Australia has some of the most unaffordable housing in the world. The question is, are current prices unsustainable? And if the market is headed for correction, what will that mean for both current and future homeowners? A housing bubble doesn’t just mean high prices — prices can be high in response to basic supply and demand. Housing bubbles generally occur when speculators enter a market where demand is already high and attempt to profit through short-term buying and selling, further driving demand. The concern for Australia is if a sudden increase in housing supply — as state governments speed up land release and development approvals, for example — coincides with a drop in demand. Demand can be reduced by range of interconnected factors such as rising interest rates or more restrictive lending practices. Whatever the reason, when supply suddenly outstrips demand, prices drop sharply and the bubble pops. A recent study by US consultancy Demographia found Australia had some of the most unaffordable housing in the world, with the highest number of housing markets termed ‘severely unaffordable’ — that is, where the median house price exceeds five times the annual median household income. According to RP Data, house prices have risen by more than 16 per cent in Sydney over the past year, and almost 11 per cent across all the capital cities combined. The current median house price in Sydney now sits at $700,000, $532,000 in Melbourne and $469,000 in Brisbane. Strong, and in some cases double-digit price growth, over the past decade in Australia’s capital cities has raised concerns from some economists. Figures released from the Australian Bureau of Statistics showed median monthly mortgage repayments increased by 38.5 per cent over the five years to 2011 to $1800, while in the same period, median weekly household income increased by only 20.2 per cent. According to the ABS, three in every 10 households are now suffering mortgage stress — defined as when a borrower pays more than 30 per cent of their gross income into mortgage repayments. Australian homeowners have a lot of skin in the game when it comes to the housing market. But experts are divided on whether we are in the midst of a price bubble. The housing bubble debate kicked off again this week after minutes from the most recent board meeting of the Reserve Bank of Australia revealed bank officials have become increasingly worried about double-digit percentage increases in house prices in Sydney and Melbourne. The RBA noted there were “risks” associated with the spike in house prices in the major cities, and that the trend “warranted ongoing close observation”. “Members further observed that additional speculative demand could amplify the property price cycle and increase the potential for property prices to fall later,” the minutes said. Westpac chief economist Bill Evans said in a statement it was clear the RBA was “becoming significantly more concerned” about house prices. “This is the first time we have seen the Bank show genuine alarm at the recent lift in house prices,” he said. Demographia’s housing affordability study also sounded a dire warning, noting that “sooner or later, the inherent instability and unsustainability that characterises bubbles will lead to house price declines in Australia”. UBS global chief economist Larry Hatheway has also weighed in, telling Fairfax Media that unless the Australian dollar falls below 85 US cents, the Reserve Bank may have to resort to other measures besides changing interest rates to ease some of the “bubbly-like conditions” in the housing market. Trading in a vehicle at the time of purchase is attractive for a number of reasons, but going in prepared is the best way to maximise your old car’s value. To begin, when you trade-in your vehicle, you don’t need to worry about advertising the car to prospective buyers. You don’t need to write an ad, post it in a newspaper or online, or pay for the ad once it is posted. You also don’t have to worry about the transaction itself. Taking deposits, giving bank details or accepting cheques which could bounce. 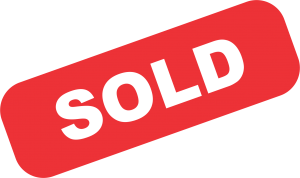 Delivering proof of sale paperwork to the Transport Authority within the time limit, finalising insurance and finance… Private sale can be a real headache. Equally, selling a vehicle privately will often-times net you more money for your wheels than trading it in to a dealer. Remember, the dealer will value your car somewhere around 10-20 per cent below what he thinks he can get for it on his lot, so it stands to reason if you sell privately that 10-20 per cent goes into your pocket. But let’s assume you’ve decided to trade-in. In most cases, all that’s required from you is your signature on the paperwork. If you’re trading-in your old car, don’t get too excited with how much the dealer is prepared to pay for your old car – it’s the changeover price you’re interested in. That is, the final figure you have to pay to get out of the old and into the new. The first step to realising the lowest possible changeover price is the prepare your trade-in. Prepare your car as you would to sell it, because that’s exactly what you are doing. Clean your car thoroughly inside and out. Don’t leave rubbish lying around, and wipe down every surface. Give the car a good wash and polish – or better yet, pay a car detailer to do it for you. A clean car tells the dealer it has been looked after. A dirty car tells the dealer the owner didn’t care for the car, and there may be a myriad of problems lurking just beneath the surface. Which scenario do you think is likely to result in a higher trade-in? You should also consider making any repairs your car may need before trading it in. This one’s a balancing act, because you need to consider the cost of the repairs against the potential value added to your car. As a general rule of thumb, do everything necessary to make your car roadworthy. This means good tyres, engine in full working order, all electrics working and no cracks in any glass. Thirdly, don’t forget to gather all your car’s papers together. Hopefully you’ve kept a service logbook and all receipts for work done, accessories added, and repairs to your vehicle. Everything from tyre rotations and fluid top-ups to engine rebuilds and body panel replacements. You’re basically looking to demonstrate to the dealer that this vehicle has been a loved member of the family and is in as good condition as can be expected. And finally, get an independent evaluation of your car’s value. Don’t believe the first price the first dealer gives you because it may not be representative of your vehicle’s market value.